Time Trials will be held on the full 12 turn, 2.52 mile road course Sonoma Raceway, one of the most challenging tracks in North America. 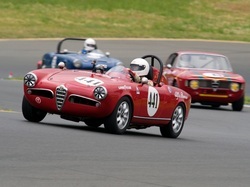 Time trials will be run by classes as defined in the AROC Competition Code. After a driver's meeting and warm-up laps, trials will be run by class. Click here to access the AROC competition code and other technical documents. The Autocross in the Paddock at Sonoma Raceway will run simultaneously all day to facilitate any drivers of the time trials for set-up changes if running both events. 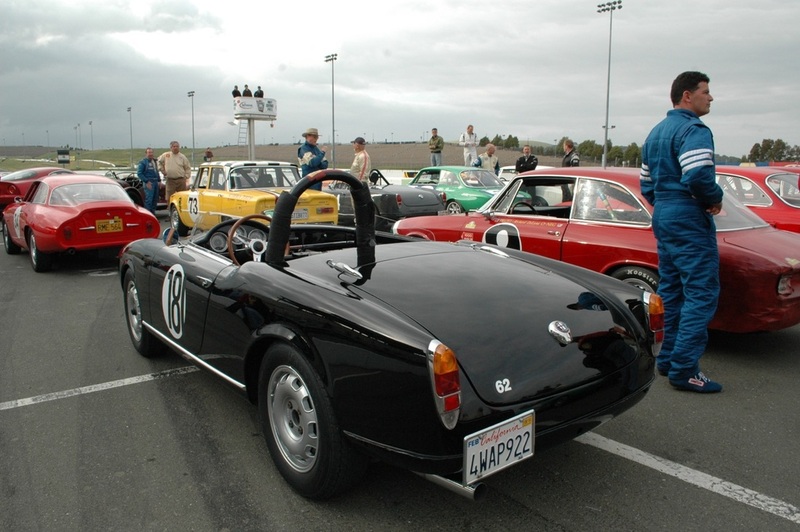 The Autocross will be run by classes as defined in the AROC Competition Code. Click here to access the AROC competition code and other technical documents. Don't have a car quite capable of running the Time Trials but you'd still like to experience this fabulous track firsthand? Look no further (but sign up quick!). 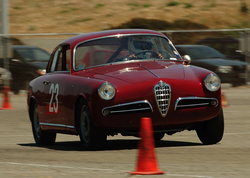 The Parade Laps on the famous Sonoma Raceway road course will be a spectacular ribbon of Alfa Romeos twisting up, down and around this 2.5 mile track. Passengers are allowed. Parade laps will be controlled at reduced speed (6/10). Certain safety restrictions will be in place (seat belts for all occupants, etc).